There are currently 242 people online. ExtremeTech reports companies like Microsoft, Sony and others are still using warranty-void-if-removed sticks, a practice that is against US federal law. The stickers suggest opening electronics will void warranty, even though this runs afoul of the FCC's rules because companies may not prevent consumers (and third-party repair businesses) from opening hardware. But despite this being illegal, companies seem to be getting away and consumers continue to believe manufacturers are legally allowed to do this. 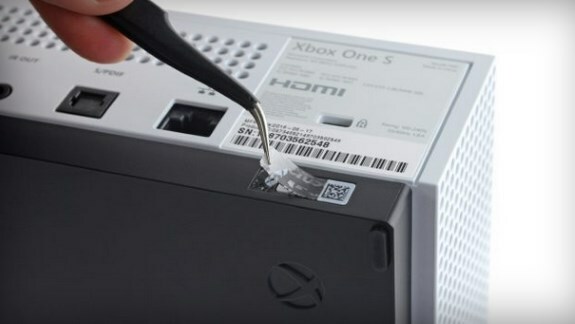 These stickers are almost certainly illegal, as Motherboard points out in relation to the new Xbox One S. The problem with the stickers is that they run afoul of the FCC’s rules on tying repair services to specific products. This issue is also probably why Apple agreed to change its practices regarding iPhones, when devices that had been repaired by third-party shops would then suddenly fail when upgraded to Apple’s latest operating system. “The stickers could be deceptive by implying consumers can’t use parts the warrantor doesn’t pre-approve, which violates the anti-tying provisions of MMWA,” FTC spokesperson Frank Dorman told Vice.